I just got word that the East Village Childcare Centre has had their Developmental application approved by the City of Sydney. It was a pleasure to work with Wayne Sammut from Ionic Management and Karl May from Turner Studios to create an outdoors playspace, indoors (on the 5th floor actually). The fantastic architectural visualisation below was created by Sunny Chan of Ivolve Studios. The playspace is designed to have an open ventilation system, Low-E glazing and a built-in irrigation system so the plants get all they need to keep them growing. A large greenwall will help to cool and oxygenate the playspace, and there will be plenty of opportunity to play, play, play with two sandpits, log steppers for seating and climbing, timber balance beams and slides. There are also hidden quiet areas and areas for meditation. The raised garden beds will host a number of sensory native trees, shrubs, grasses and climbers and separate raised beds will be used for growing edible herbs and veggies. 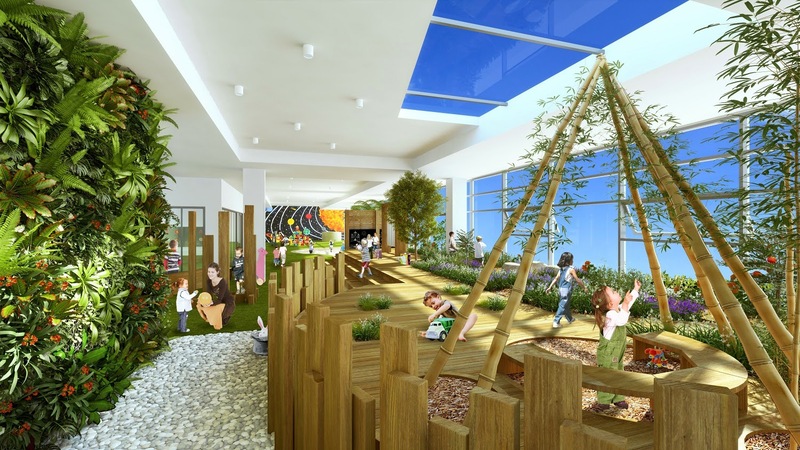 With a greater development of Australian inner city areas I have noticed an increased trend to integrate childcare centres, including the playspace, within the new residential/commercial complexes, both usually above ground level. I understand that the creation of indoor playspaces may be paramount in areas of the world that experience extreme temperature variations but this is an emergent and challenging trend in Australian childcare design. 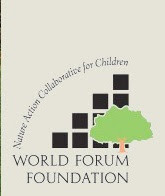 Challenging and rewarding in that I have been able to work with developers and architects who are aware of the benefit of natural playspaces and are happy to consider them integral components of any new centres' design.